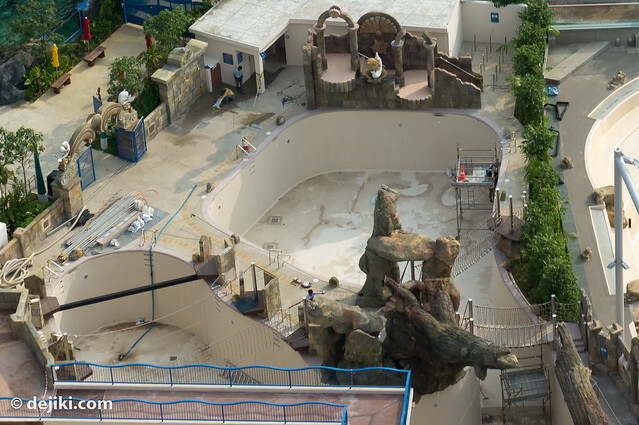 As seen in the previous aerial update, many parts of Marine Life Park are still undergoing construction. 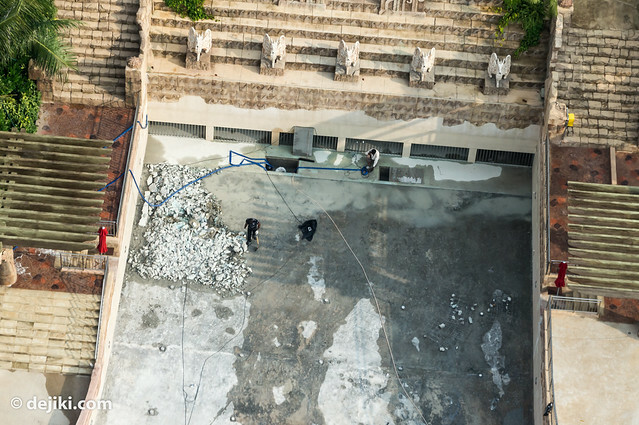 05/09: Scroll down to see some new photos – There’s been progress at various sections. 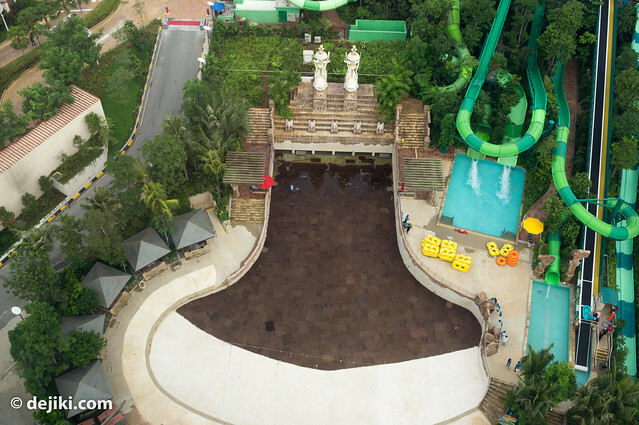 There’s some ticket scanners/gantries here – So this is either the main entrance, or the entrance to Adventure Cove Waterpark section. 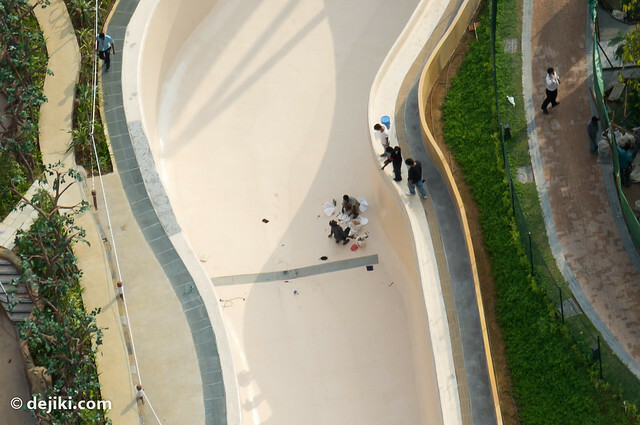 Some parts of the pools are still being repainted and fixed. 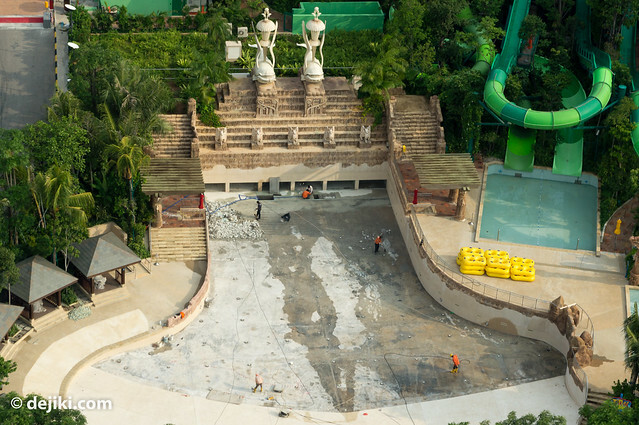 The other sections were undergoing repair, as mentioned in from the air 5, have already been nicely resurfaced. 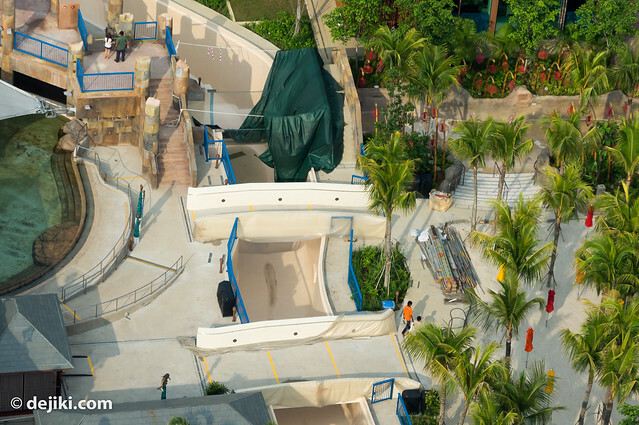 Some new construction here, which looks like new elements along Adventure River. 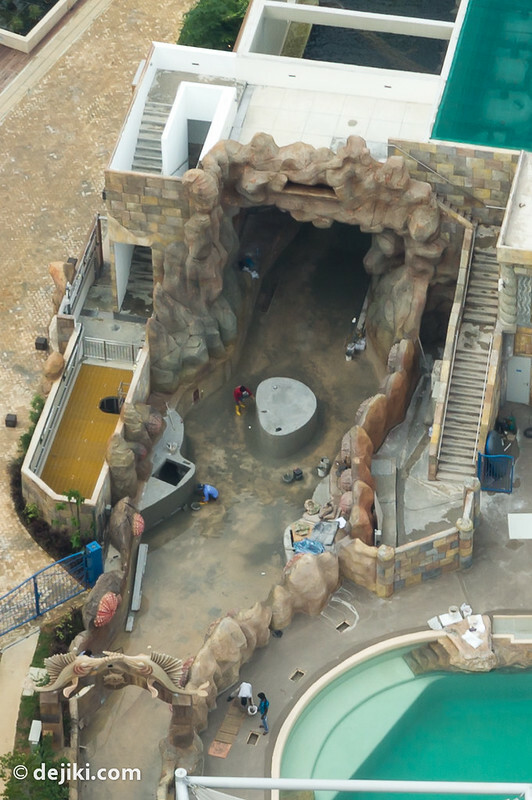 They’re putting in something in the middle of the river, but that spot is also where the waterfall hits the river. 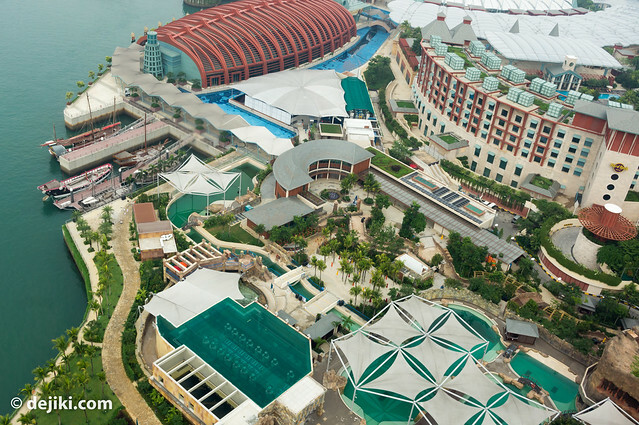 Perhaps the most shocking sight would be BluWater Bay being stripped apart for resurfacing. So yes, this is a short update. 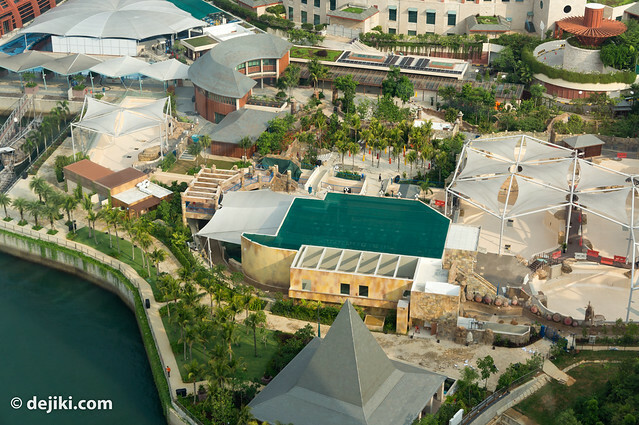 There’s still lots of work to be done before Marine Life Park is complete. 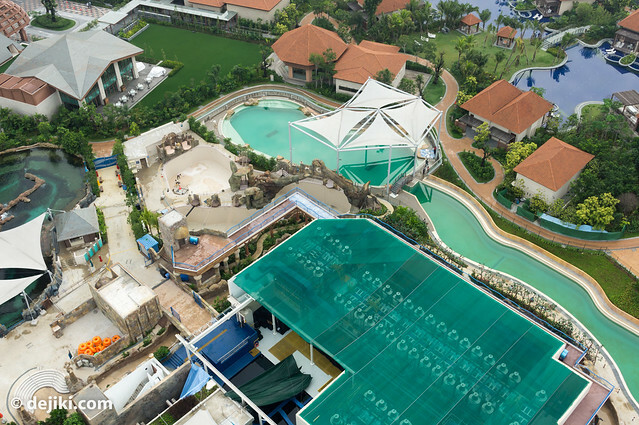 As a highly anticipated attraction (I’ve got a lot of emails about MLP), I’m sure the RWS does not wish to delay Marine Life Park’s opening any further. Here’s an update to an update. There’s been quick progress at the park. BluWater Bay – I’m not sure what’s going on here exactly. Edit 08/09/2012: Basic resurfacing works appears to be done. Some of the rides are back up and running. 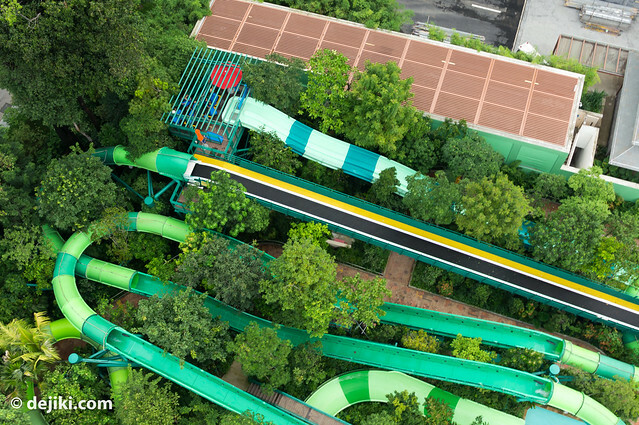 Can you spot the park crew here? 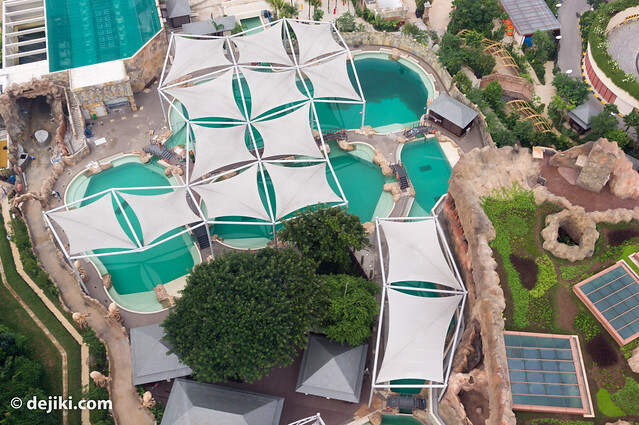 Dolphin pools are now filled again. 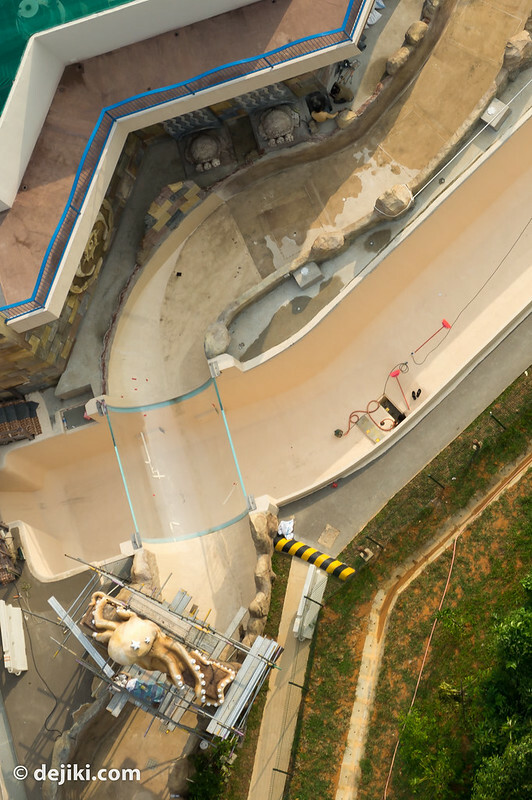 As for this section of the Adventure River, we can now see that they’ve narrowed this section a little, with that strange shape in the middle of the ride path. It seems that there are extra pumps installed at the side of the river here, possible to regulate or increase the flow of the river. Stay tuned (Subscribe!) for the next update soon! 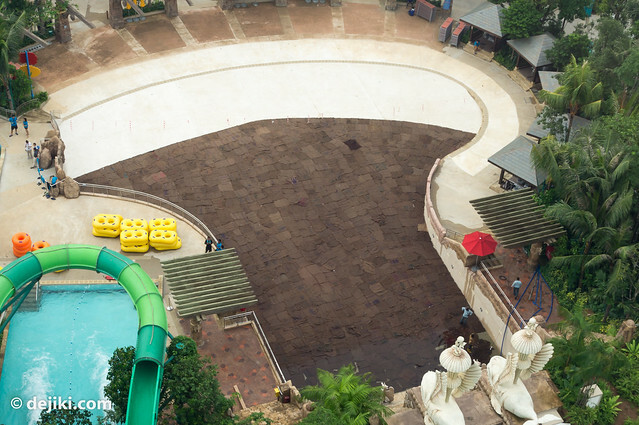 I was also shocked when I noticed that the pool was not there any more. Will that result in a delay of the opening? 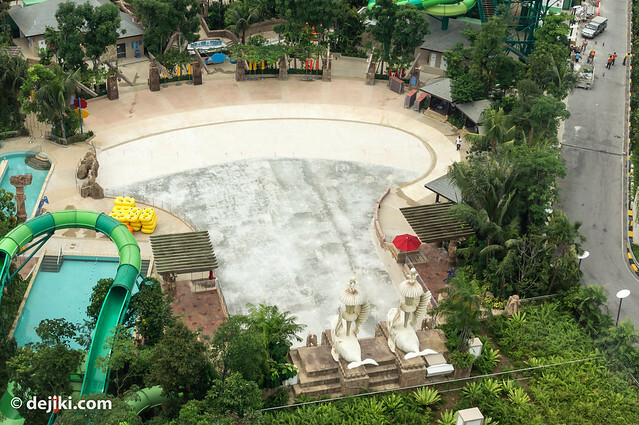 Well I just have to wait…I am curious to see the fun elements of the Adventure river. 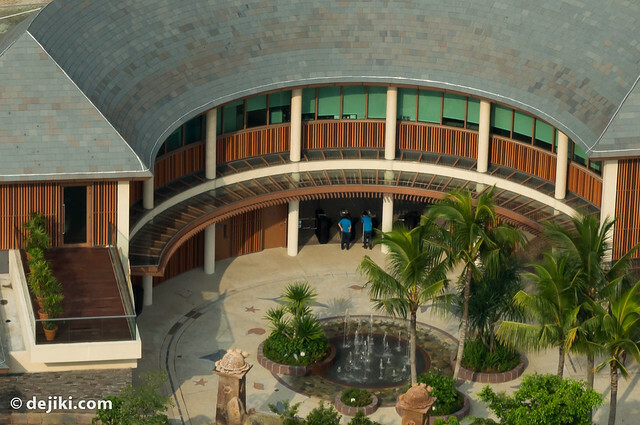 As far as official announcements go, grand opening has been pushed back to end of 2012. 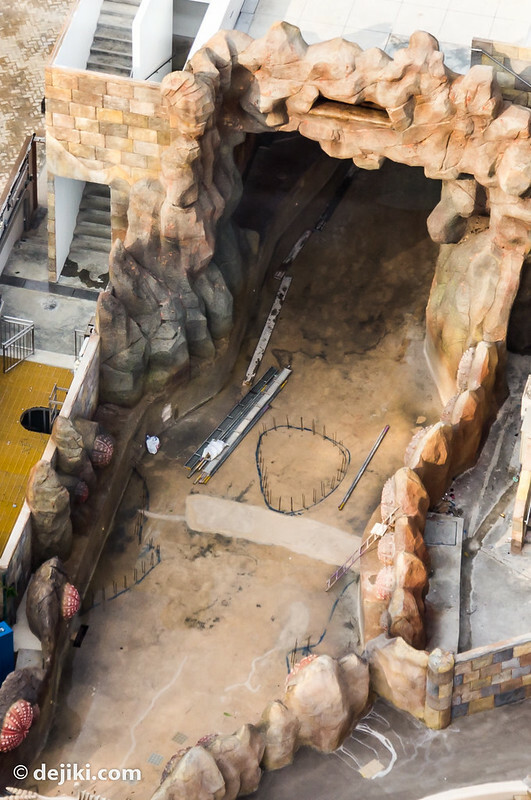 The park may soft open earlier, but from the look of things – they are already rushing as fast as they can to meet the end-of-year deadline. Nice update to an update. Looks like MLP can steal an opening ahead of the Pandas in December. Anyways, the names of the 3 segments have been trademarked as “S.E.A. 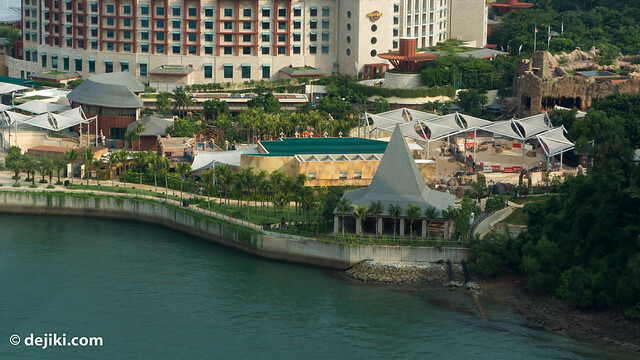 Aquarium”, “Adventure Cove Waterpark” and “Dolphin Island”.